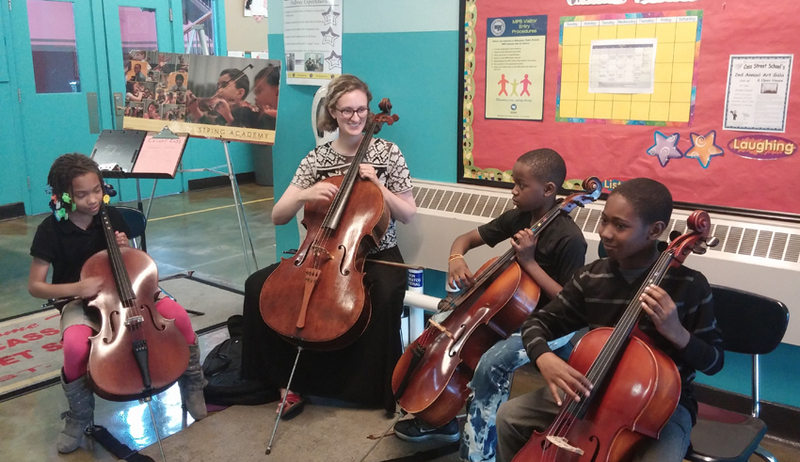 SAW students at Cass Street School performed for their second annual Art Gallery Night on May 27th. Stationed near the front entrance, they showed off their skills for every visitor coming through the door. First year students Laniah Lee, Lydell Lee and Kimonte Givens did a fantastic job inspiring many classmates to take up the cello, too. We had a ton of fun!